We invite you to discover hidden harbors and explore all the beauty in the Caribbean Sea. Join us as we sail through secluded ports and remote coves that other ships cannot reach. Small islands like Bequia in the Grenadines or Martinique’s charming Anses’Arlet. Escape frigid temperatures for lush tropical landscapes and rich flavors as you embark on an unforgettable Silversea voyage in the Caribbean. 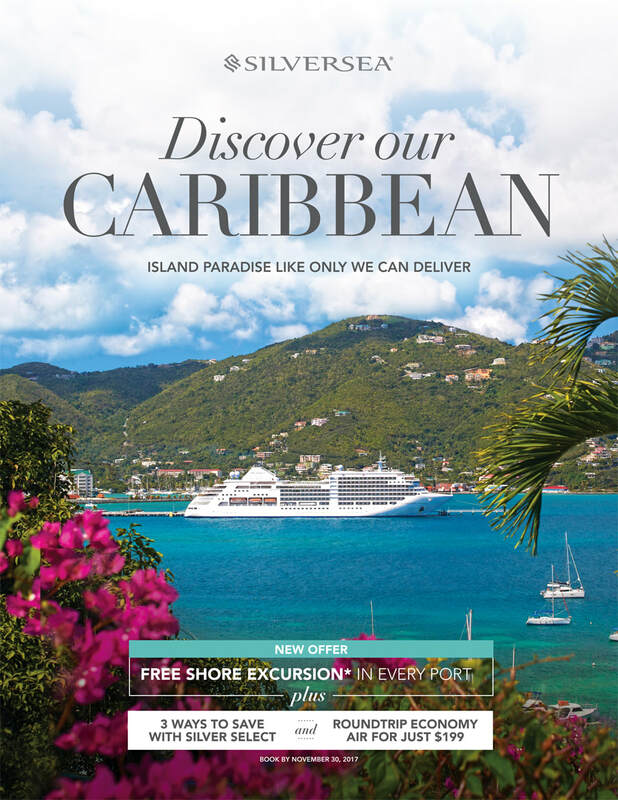 What better way to get to experience this incredible destination than by enjoying of our Free Shore Excursion offer and our all-inclusive lifestyle. These carefully selected shore excursions allow you to immerse yourself deeper in the islands’ culture on every port you’ll visit. 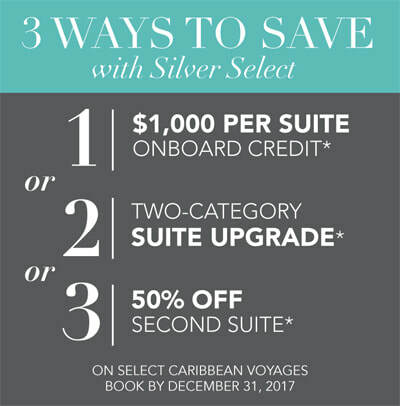 What’s more, on select voyages, you can take advantage of our exclusive $199 Roundtrip Economy Air offer and select one of the three ways to save with Silver Select. The Caribbean is ready to welcome you. And this limited time offer won’t be around long – book by November 30, 2017. * Unlimited free WiFi for guests sailing in select suite categories. One hour free WiFi per day for all guests.